The work being done in my lab broadly interfaces behavioral ecology and parasitism, with the ultimate aim of better understanding the evolutionary relationships between animal hosts and the parasites that depend on them. I am a behavioral ecologist by training and at heart, but like any modern scientific undertaking, our work covers many fields, including behavioral ecology and ethology, cognition, parasitology, ecological immunology and infectious disease ecology and epidemiology. To accomplish our research aims, we integrate field and lab work with computational methods that delve into network analyses, fractals and chaos. After receiving the MA degree from the University of Calgary, I moved to Japan and worked as an English teacher before returning to academia in 2007 to conduct doctoral studies at the Kyoto University Primate Research Institute. My dissertation, which was supervised by Dr. Michael Huffman, was entitled "Gastrointestinal helminth parasitism among Japanese macaques: patterns, processes and host responses". After completing my degree, I remained at the PRI as a post-doctoral research associate with CICASP but worked largely with Dr. Yan Ropert-Coudert at the CNRS-Strasbourg University supported by a JSPS researcher exchange grant to study complexity in seabird foraging behavior in relation to habitat characteristics and global change. I was awarded an assistant professorship with CICASP in April 2012, and was promoted to Associate Professor in April 2014 with affiliations to Kyoto University's Wildlife Research Center and its Leading Graduate Program in Primatology and Wildlife Science. In April 2017, I became tenured Associate Professor at PRI, with CICASP and the Department of Ecology and Social Behavior, through Kyot University's Institute for Liberal Arts and Sciences. To date, I have studied primates in one capacity or another in Central America, Africa, and Asia, but my current focus is on Asian primates and their gastrointestinal parasites. My research is and has been supported by grants-in-aid from the Japan Society for the Promotion of Science, as well as Kyoto University. 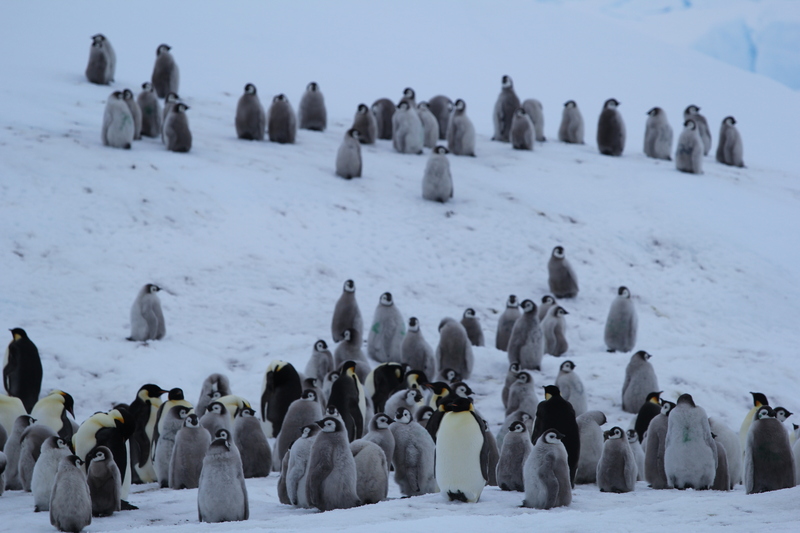 Aside from primates, I also study seabird behaviour, and in particular patterns of behavioural complexity among various penguin species in relation to various ecological challenges and global change biology. 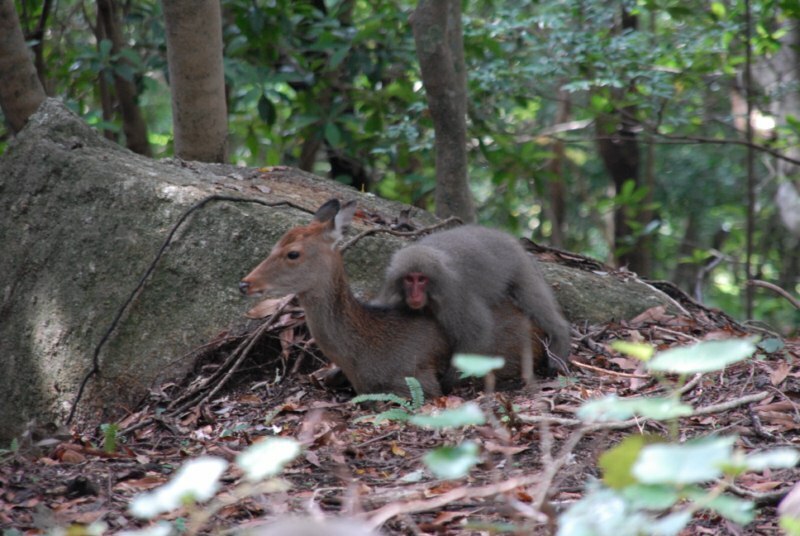 I have initiated a long-term project monitoring parasite infection dynamics in Japanese macaques (Macaca fuscata), with the aim of modeling interactions between primate and parasite population processes and the impacts of parasitism on primate health and behavior. Understanding these patterns and processes under natural conditions can help determine potential impacts of habitat alteration on primate populations, which is a constant concern in conservation of endangered species. One of my main interests is to determine host traits that contribute to heterogeneity in infection phenotypes across individuals. 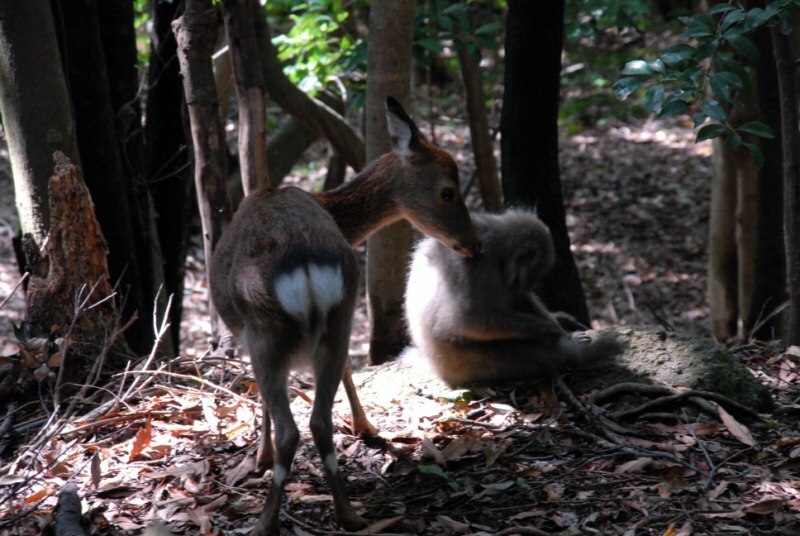 I am currently focusing on the importance of social structure in mediating both exposure and susceptibility to parasitic nematode infection, working with the populations of Japanese macaques on Koshima and Yakushima Islands, under naturalistic and field-experimental conditions. By disrupting the natural course of infection via anthelmintic treatment of target individuals, I hope to uncover mechanisms of reinfection and potential fitness benefits of parasite removal. The main purpose of this project is to investigate ecological networks involving parasites and Borneo's rich primate biodiversity in an area subjected to ongoing anthropogenic change. 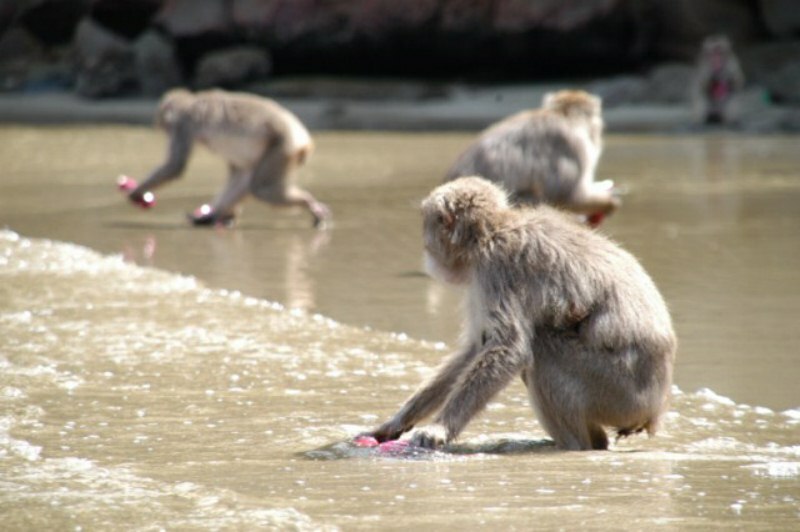 Unlike the case for Japanese macaques, which are isolated from other nonhuman primates and thus within-species effects dominate parasite transmission dynamics, primates in tropical areas typically share their habitats with multiple related species, allowing for potential between-species effects in parasitism and likely involving 'apparent competition'; i.e. 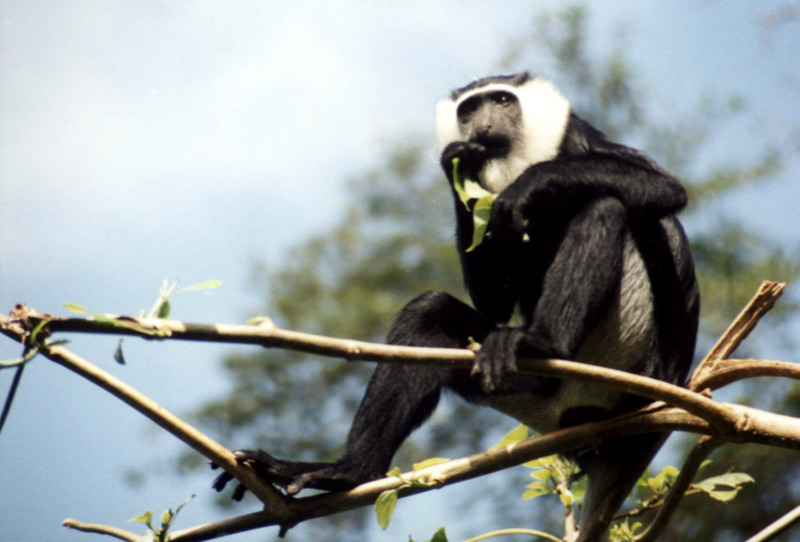 competition between primate species for 'enemy-free space'. 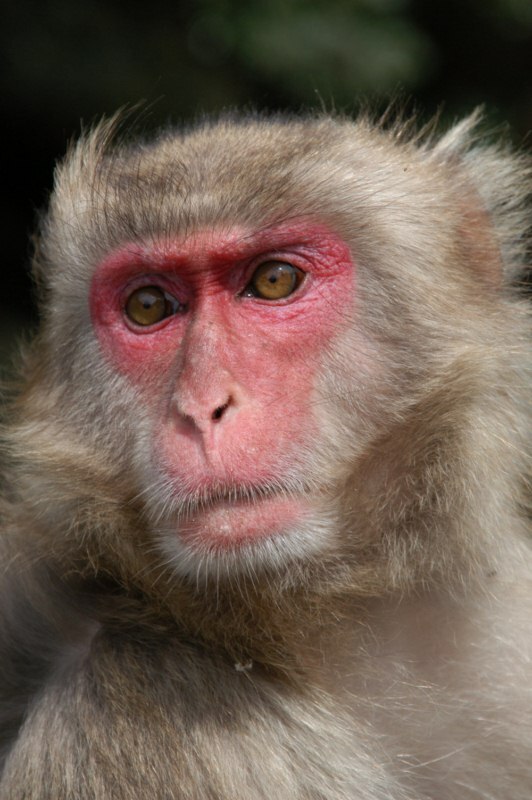 Our search for 'superspreaders' among specific host individuals in Japanese macaque and other primate groups here expands to a search for specific host species that may play disproportionate roles in the transmission dynamics of certain disease-causing or otherwise parasitic organisms. 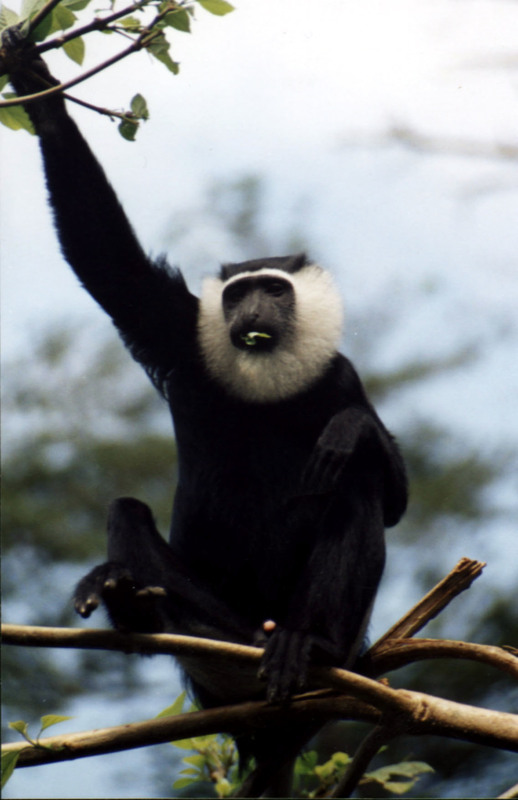 If host community assemblages can affect the transmission rates of generalist (shared) parasites, then the potential exists for other species to influence infection dynamics of focal species, such as primates and other wildlife of conservation concern, or humans, leading to indirect effects on their population viabilities. Throw in large-scale land conversion and the ever-shrinking habitats for wildlife everywhere, and we have a recipe for which the end-product has yet to be determined. 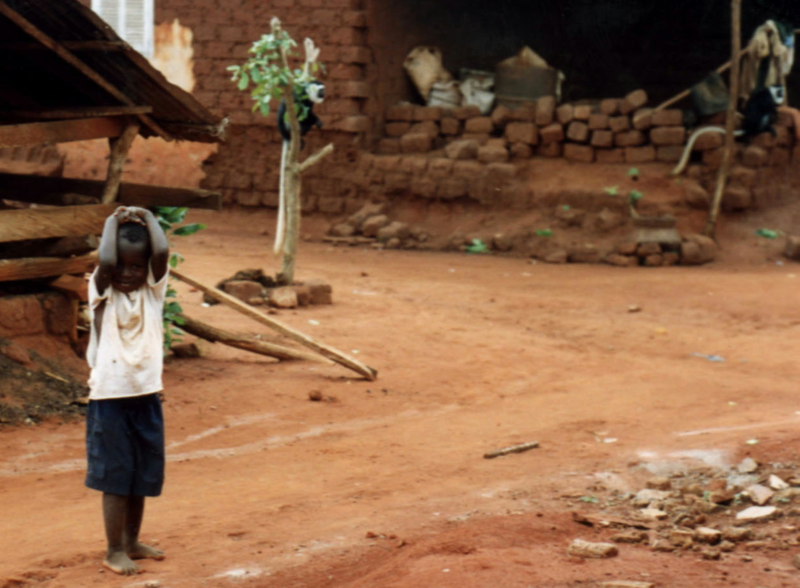 Although challenging, it is actually critical to view parasitism from such a complex, community perspective. The ultimate aims here will be to carry this work into the one health paradigm, where environmental, wildlife and public health are treated as mart of the same, dynamic system. To accomplish our aims, we are using a diverse set of methods that include field work and sampling, traditional and molecular parasitology, social, ecological and spatial data analysis and modeling, as well as comparative literature surveys to gain a broader perspective. To date, our major focus has been on gastrointestinal parasites. Such environmentally-transmitted parasites have the potential to spread into new regions and new hosts as landscapes are altered, making them important target species to consider. In addition, they are perhaps more amenable to sampling than other parasitic organisms, particularly when working in sensitive areas with endangered host species. examine the relationship between habitat fragmentation and parasite biodiversity sensu environmental parasitology. Perhaps because of the difficulties inherent in determining costs associated with parasite infection and other ecological challenges, I have also been investigating the utility of fractal analysis in health monitoring studies of wild animal behaviour. I am currently using various fractal methods, including detrended fluctuation analysis (DFA) and various other Hurst exponent estimators, as well as other tools that measure fractal dimension, to examine complexity in behavioural sequences - which are subtly more stereotypical with stress and disease. My previous research suggested a possible link between parasitic infection and complexity loss in Japanese macaques, and I am currently applying these fractal tools to other study systems, including further work with Japanese macaques and other wildlife and domestic species. Much of this work has merged novel techniques, such as temporal fractal analysis applied to data collected via bio-logging (i.e. 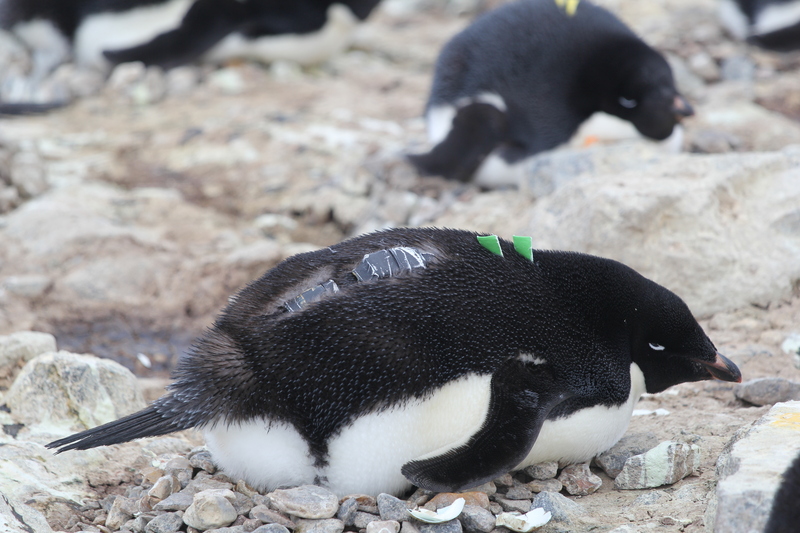 using animal-attached data recording devices). 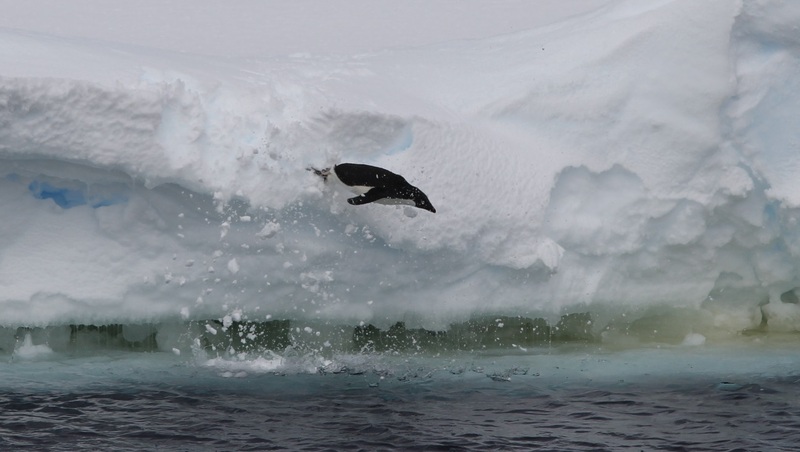 This work has shown that penguin dive sequences exhibit fractal properties across a number of scales and over long time periods, and that certain challenges such as increased physiological stress and more heterogeneous environments are associated with altered fractal dynamics. 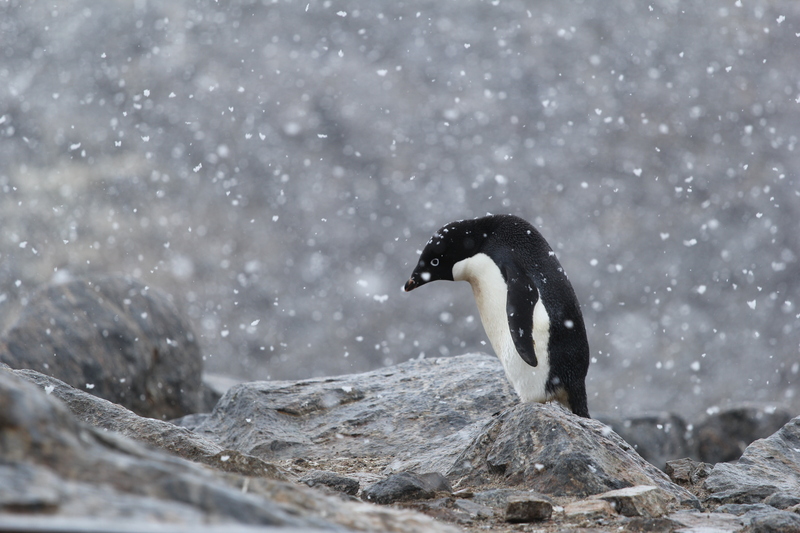 We aim to use fractal tools to investigate through a comparative approach behavioral complexity in relation to both individual and environmental quality, and particularly with reference to issues surrounding climate change in the Antarctic region. Sarabian C, Ngoubangoye B, MacIntosh AJJ (2017) Avoidance of biological contaminants through sight, smell and touch in chimpanzees. R Soc Open Sci 4:170968. Balasubramaniam KN, Beisner BA, Berman CM, De Marco A, Duboscq J, Koirala S, Majolo B, MacIntosh AJ, McFarland R, Molesti S, Ogawa H, Petit O, Schino G, Sosa S, Sueur C, Thierry B, de Waal FBM, and McCowan B (2017) The influence of phylogeny, social style, and sociodemographic factors on macaque social network structure. Am J Primatol DOI:10.1002/ajp.22727. "Bonobos lose their appetite if they feel disgusted and turn their nose up at filthy food, just like humans"
"What grosses out a chimpanzee? The origins of disgust"
"Monkeys Keep their Food Clean, Sort of"
"Japanese Monkeys Like to Socialize, Even With Nits to Pick"
"'Popular girls' have fewer lice, at least in the monkey world"
Zhihong Xu, section of Social Systems Evolution. 1st year master's student (2018~). 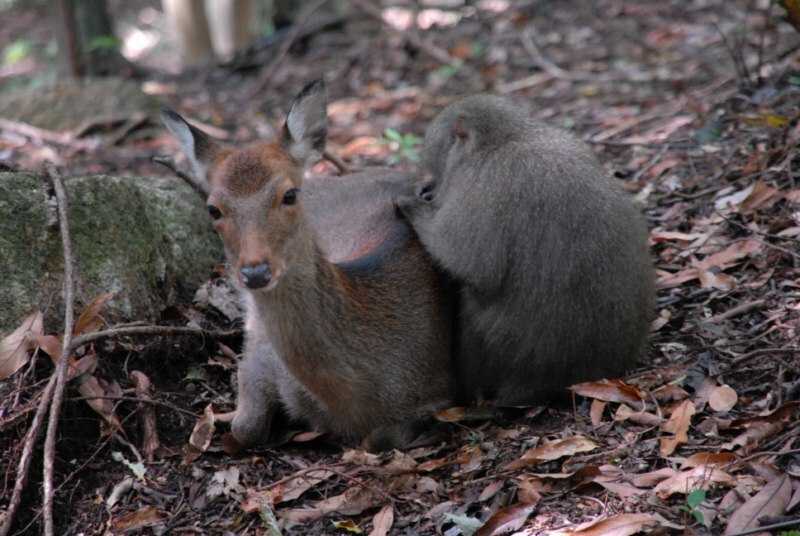 Project Title: Comparative look at the transmission of parasites in macaque social and spatial networks. *Previously an undergraduate intern with me at KUPRI (2016~2017) from Sun Yat Sen University, China. Cecile Sarabian, section of Social Systems Evolution. 4th year doctoral student. Project Title: The Origins of Hygiene: Infection-risk Avoidance in Papionini and Hominidae. *Formerly 2nd year master's internship student (2014) from the University of Strasbourg and 1st year master's internship student (2012-2013) from Rennes 1 University. Liesbeth Frias, section of Cellular and Molecular Biology. 4th year doctoral student. Project Title: Host-Parasite Systems Dynamics in Human-Modified Habitats (since 2014). Valeria Romano de Paula, Currently a JSPS postdoc at PRI. Formerly a student at the: 1. Institut Pluridisciplinaire Hubert Curien - IPHC, Département Ecologie, Physiologie et Ethologie - DEPE, University of Strasbourg. 3rd year doctoral student; 2. 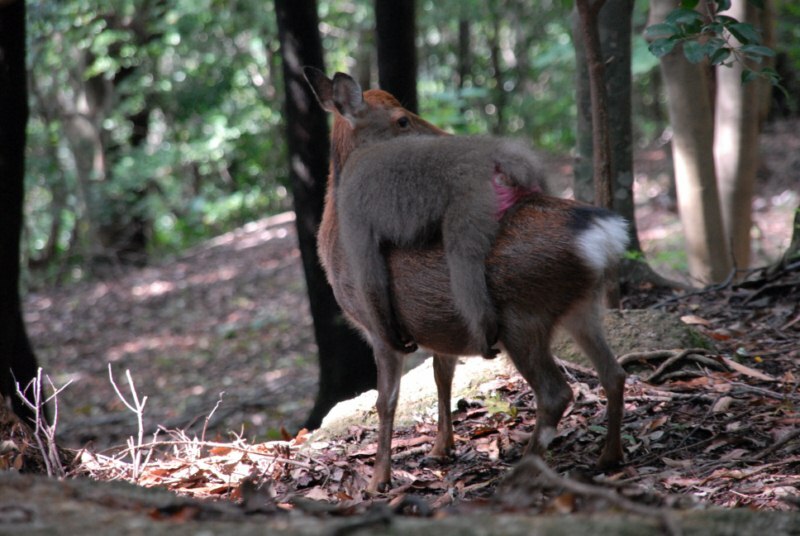 Kyoto University Wildlife Research Center. Japan Society for the Promotion of Science (JSPS) Short-term Doctoral Fellow. Graduated 2017! 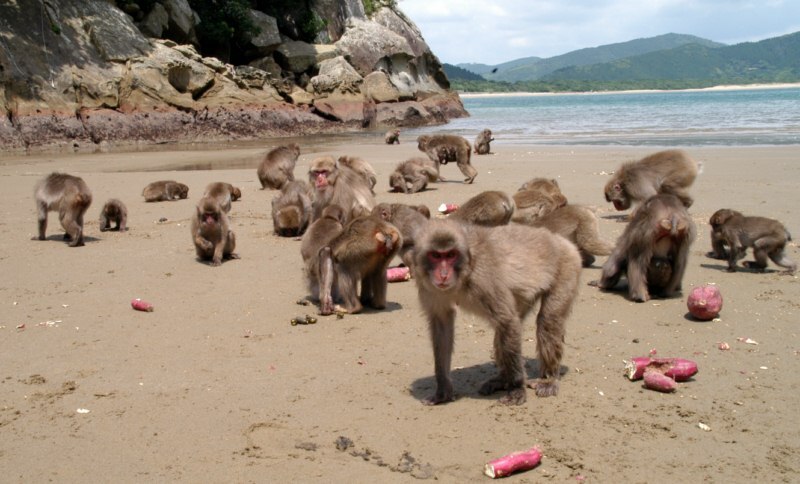 Project Title: Primate Social Networks as a Trade-off between Information and Disease Transmission (2013~2017). Barbora Kubenova (photo coming soon), Primate Research Institute. Japan Society for the Promotion of Science (JSPS) Standard Postdoctoral Fellow. 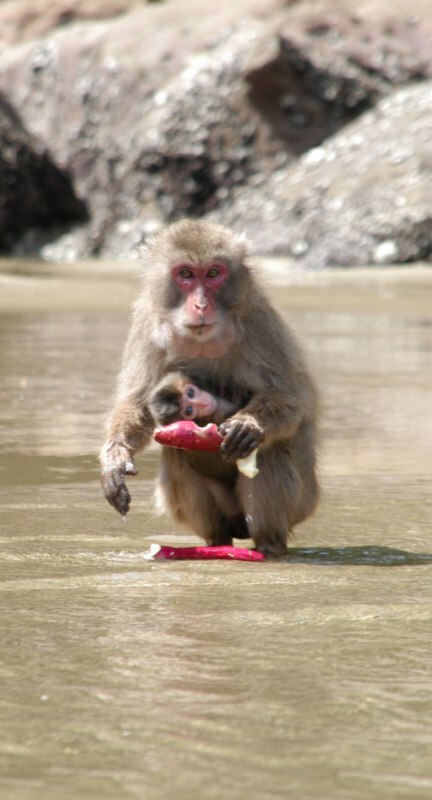 Project Title: Infant handling and social integration of infants and juveniles in wild Japanese macaques (2017~2019). Marie Sigaud (photo coming soon), Primate Research Institute. Japan Society for the Promotion of Science (JSPS) Standard Postdoctoral Fellow. Project Title: Measuring fitness costs of habitat degradation in an endangered primate (2018~2020). Xavier Meyer (2013~2018). Formerly a (1) research associate at PRI (2017-2018); (2) student (2013~2016) at the Institut Pluridisciplinaire Hubert Curien - IPHC, Département Ecologie, Physiologie et Ethologie - DEPE, University of Strasbourg. Graduated 2016! Project Title: Does complexity in behavioral organization allow seabirds to adapt to changes in their environment?